It all made my cheeks hurt from SMILING so much! Finally, 7 years ago they found themselves reconnecting from across the USA and finally spilled the beans about how they felt about each other decades ago. Hit the fast forward button and they make a home in NYC then find themselves seeking a unique way to elope… An adventure wedding in Iceland followed by a honeymoon which would explore the entire island was what called to both of their souls! 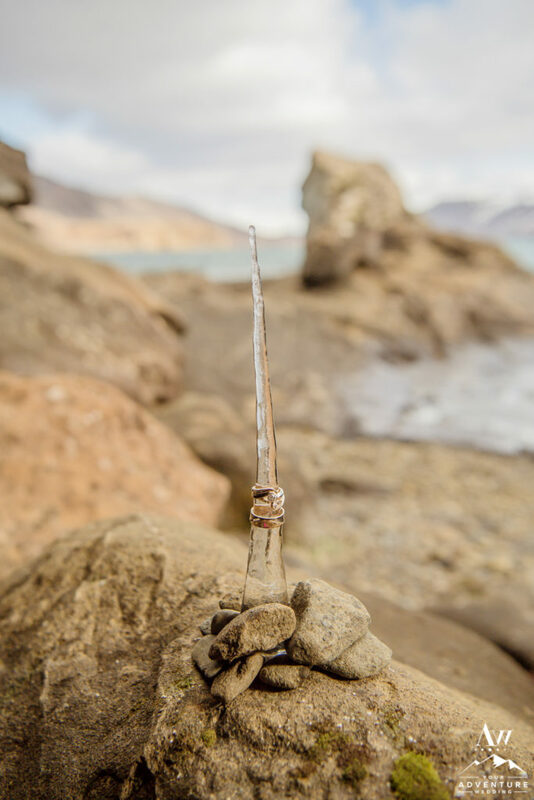 So come with us today as we relive their EPIC adventurous elopement in Iceland! 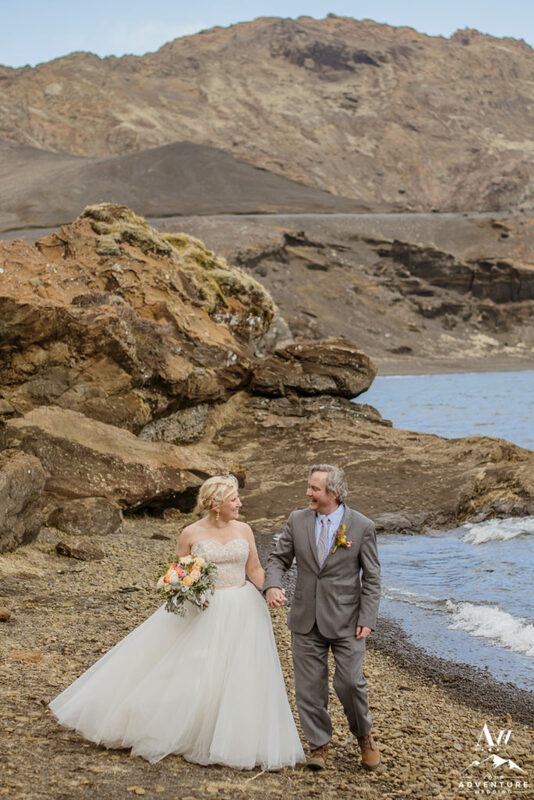 Side Note: Their fabulous Iceland elopement was recently featured on Offbeat Bride, check out more of their amazing love story HERE! The action packed Iceland wedding day began at 5:30am at Hotel Grimsborgir with hair, makeup, and an exciting first look! 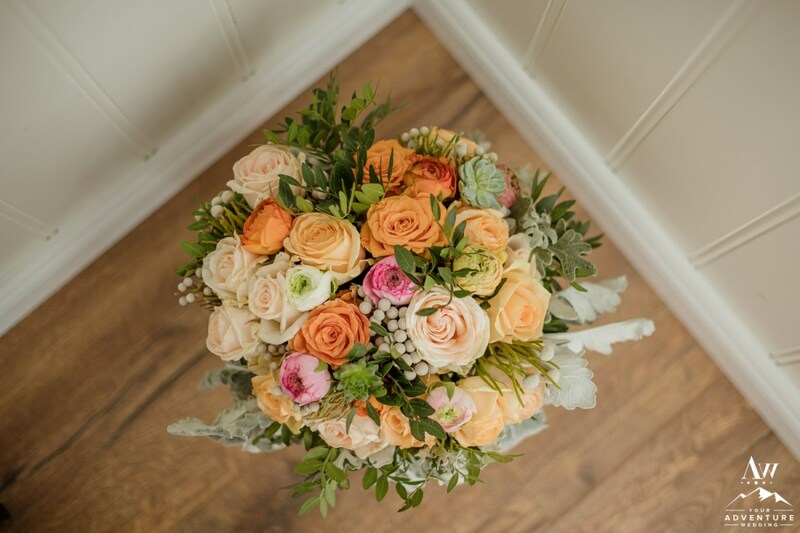 Jodi’s Iceland wedding bouquet was one of my all time favorites! Ugh, and Jodi’s STUNNING Iceland wedding dress was brilliant! I love princess gowns like this that blow so beautifully around in the Icelandic wind! …and what adventure bride would be complete without waterproof rain boots?! Jodi’s something “blue” were these beauties! Patrick was head to toe handsome with his awesome gray suit! I love gray Iceland wedding suits on our grooms! And what adventurous groom would be without his hiking boots on his Iceland wedding day?! Our Iceland wedding hair and makeup stylist hooked Jodi up with the perfect windproof styles! Then our amazing super jeep team took them to their beautiful lakeside ceremony spot where after exploring commenced! After their Iceland wedding ceremony, they had so much fun exploring the area! A luxury picnic lunch on a private black sand beach is the BEST way to celebrate your elopement in Iceland! Private geothermal areas are my new favorite spot! The sun and these amazing golden cliffs for Jodi and Patrick’s amazing Iceland wedding photos! After a glorious 12 hour adventure wedding, we found our way back to the hotel to rest and refresh before their sweet little dinner for two! Oh la la Jodi and Patrick! Epic day with one of the most adventurous couples EVER! Thanks for being so unforgettable! May these Iceland wedding portraits allow you to relive that EPIC day in your lives over and over again!